PPL means “pay-per-letter”, which is the way of operation of most dating sites offering introductions to Russian and Ukrainian women today. Companies using PPL charge their users for each letter or chat message they send or receive, and per minute of video chat. If you became curious about meeting Russian and Ukrainian women, most services you come across will be PPL dating sites. Non-PPL websites offer a different approach: pre-paid memberships where all following communication with ladies is free of charge. In both cases you pay in advance (purchasing “credits” in bulk or paying for a membership), however, these two approaches are very different. Typically, men using PPL websites receive hundreds of messages that appear to be sent by female users daily, regardless of quality of their profiles and photos. As soon as a man registers, he may be bombarded by mails and chats. The messages seem to arrive from very beautiful and young women, which is extremely flattering. Many PPL dating sites explicitly state in their terms and conditions that not all mails are sent by actual users but by “agents”, who are trying to match their clients with men. In other words, letters that men receive on PPL sites can be prewritten and sent in bulk by the agent, or even software-generated. In a way, it’s similar to pay-per-minute phone services that are happy to discuss your wildest love fantasies, as long as you are paying. If you stop paying, the “relationship” will stop. You have no way of talking to this “person” directly, except for paying to PPL site. Some PPL websites insist they are charging for “translations”. While women’s command of English may differ, there are free online translators that do the job pretty well, making such interruptions unnecessary. While it’s best to still maintain communication through the dating site until you feel completely comfortable to share your personal contact information, you can do it at any time. You are able to chat and talk through the video link for as long as you wish, at your own pace. You are 100% confident that if a woman keeps talking to you, she is doing it because she wants to do it, and not because she is being paid. Some membership sites (such as elenasmodels.com) also allow you to download direct email addresses and phone numbers of women, so you don’t have to go through the website at all, and have the ability to communicate directly. Because there are no agents trying to “match” their clients with you (and receive commissions for letters), you will not be getting hundreds of mails and chat requests a day, as on PPL dating sites. Some women may answer positively and then disappear without telling you why they decided to stop communication. Not all women will be perfectly reasonable or answer on time. You actually have to build your own relationship, think what you write and say, nothing is guaranteed. It’s not as easy as reading and writing through PPL, where you only have to keep paying. For obvious reasons, I cannot claim that I am totally unbiased towards PPL dating sites (Elenas Models is a membership website). I tried to be as objective as I could, however, in today’s world I do not see the need for the PPL model. Translations: various online translators do a great job and will be a better option when you are establishing a personal relationship, especially if you chat in real time. Protection: having the ability to use video chat without being billed per minute is a better protection than any other from people who are not who they say they are. Costs: it’s hard to establish a relationship when you are billed for every piece of information sent or received, and have to always go through the agency. With membership sites all communication is unlimited. Reality: moving relationships from online to the real world is seamless and straightforward with the membership model, and can be done immediately. PPL sites only make money for as long as you cannot connect directly, thus they have a vested interest in keeping you as a paying customer for as long as they can. Meeting options: usually PPL sites expect you to purchase an expensive tour through them, if you ever decide to visit your romantic interest. With membership sites you choose your own accommodation, plane tickets, dates etc, which allows you to organize your trip 3-4 times cheaper and with a greater flexibility time-wise. Reliability: have you ever wondered what are you going to do if the PPL site went down tomorrow? How will you continue the relationship, if you have no direct contact details of your “love interest”? When you have direct contact information, you don’t have to rely on the dating websites. I believe that generally people who want to find a real relationship prefer direct, uncensored communication. PPL sites, to me, are more suited to dreamers who like to believe they are in a relationship by simply typing letters. Online dating scams – are you being scammed? This really makes sense. I have been paying way too much! Gullible I guess. I am going to be smarter from now on. Thanks again! You’re partly to blame yourself that you were deceived. If a woman asks to buy her presents or hints that she needs money, it should be clear that she is a swindler! We immediately see that she needed your wallet but not you! Be careful! Listen to your heart, and analyze her actions! Presents should be presented when you yourself want, but not when asked by her… this is a cause for concern! so ,you could spend actually the money on hookers and have real fun .,..plus maybe knowing some interesting lady.Hm.Poor finance management. :-))))).Anyway,jokes apart.When you saw what’s all about(I mean 5000 fur coat buying should have made your sense come to reality)…why didn’t you step aside? I am in 100% agreement with the above posters. PPL sites are, to me, a ripoff. Very expensive, and women are more interested in making money from these sites, than actually finding a relationship. I am happy to have found Elena’s site. Expectations and communication is realistic, and the prospects here are much more in line with what I had hoped to find. Have to admit I was enjoying all the attention on one particular PPL site. Unfortunately the experience has soured my experience of eastern European women to some extent. Currently summoning the courage to get a membership here at Elena’s, which after visiting on and off for a while, certainly appears to offer a much more genuine experience. I like the membership term over the ppl as I have spent enough money on that particular way. I am curious as to why a smaller trial version is not offered as a way to see how this site works? Nathan, the goal of Elena’s Models site is to meet one special person for a relationship, which is different to regular dating sites that people often use to “hook up” and date different people all the time. This is why our services are designed to enable you to meet this special person. Our experience shows that short memberships don’t work as reliably as more comprehensive membership packages. You usually need to talk to multiple people over a period of time to find the right fit. A typical PPL site and a scam-avoid and save your money! Try Elenas Models then talk direct and write to your lady and go to visit her! NEVER send money to anyone you did not meet ! Rod, to me, PPL dating sites belong to the same niche as 1900 pay-per-minute phone lines. You ring, you talk, you pay. It’s entertainment, not relationships. It definitely seems more realistic to avoid the PPL sites so that one can actually read the words the other has written rather than a censured message. Its much more genuine. I had started my search on these PPL sites and visited Ukraine several times and never created a serious relationship. I got to the point where I was convinced that these ladies were being paid to write and meet. I met my current lady on your site and we have created a wonderful romantic relationship and have traveled to many parts of the world together. Hopefully this is the year I will bring her to the United States. 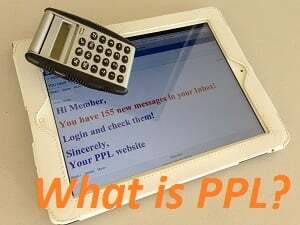 I know what PPL is: IT IS A SCAM!!! Elena, I got another weird question for you: there’s a couple of Eastern European dating sites here in America and they claim to be membership sites, but you also have to buy credits along with your membership, would you consider them PPL sites, too?